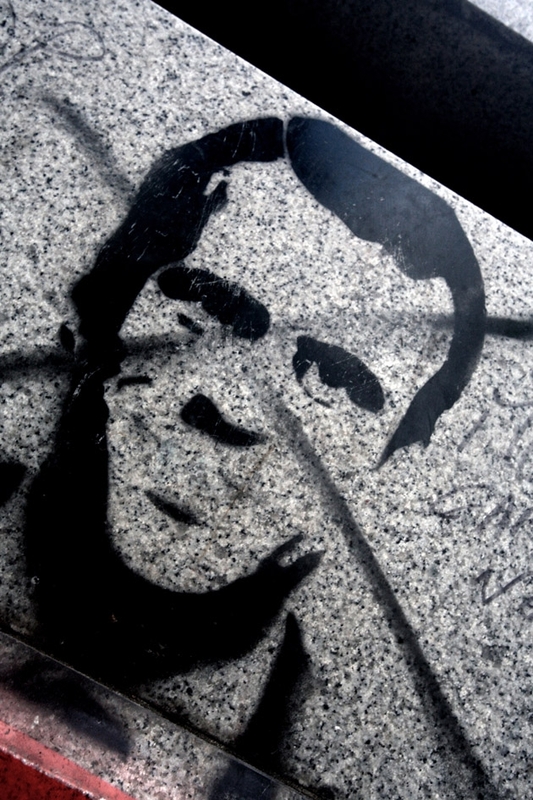 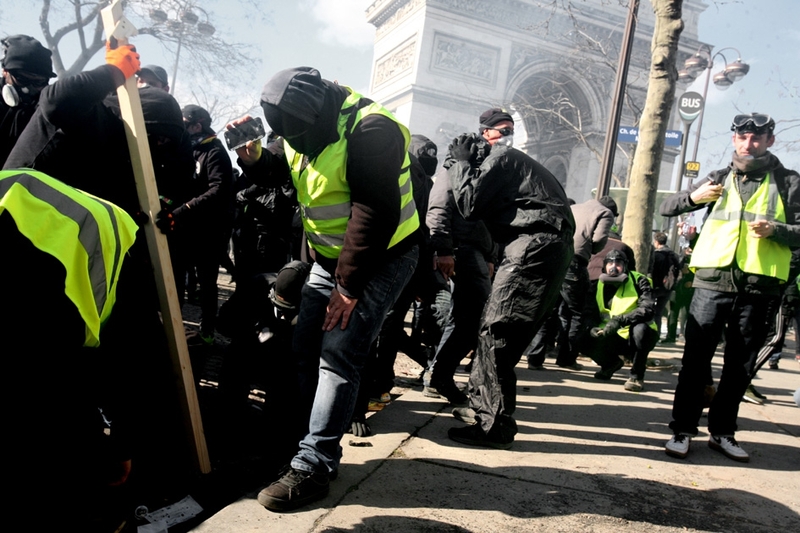 I fond myself in the middle of incidents of Champs Elysées and realized this series of images (small story) which seems interesting to me and another light on the events of last saturday on the Elysées fields. 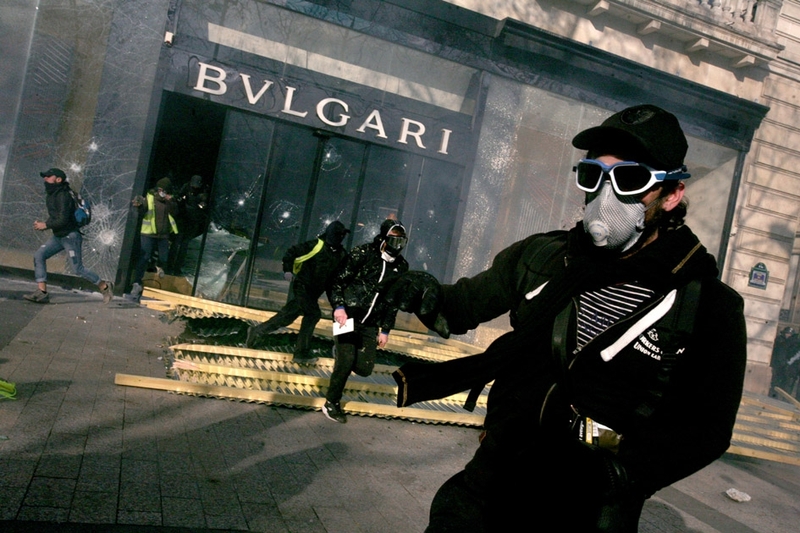 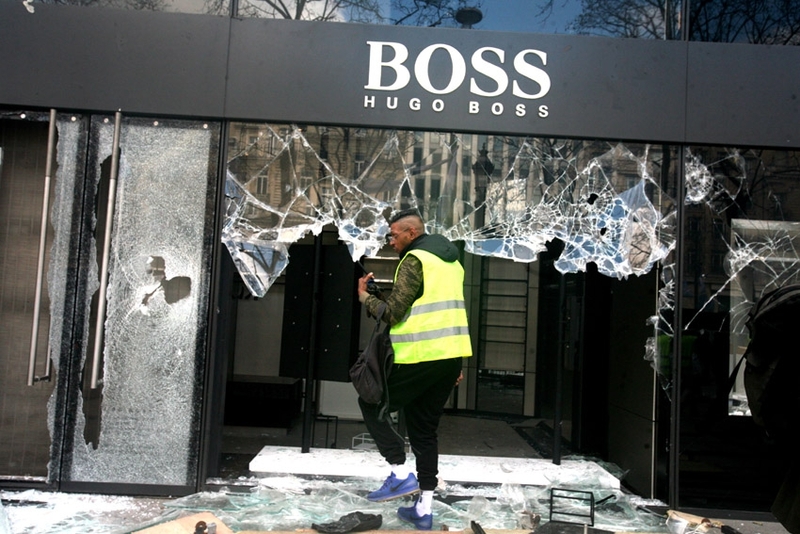 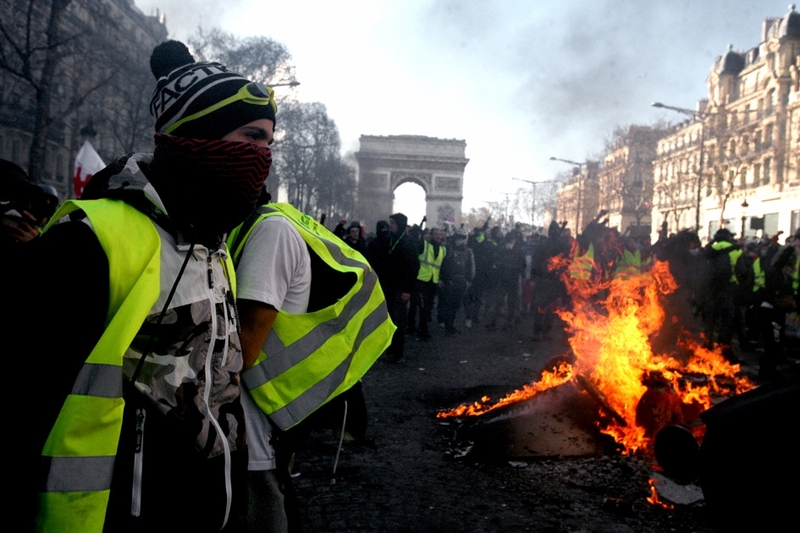 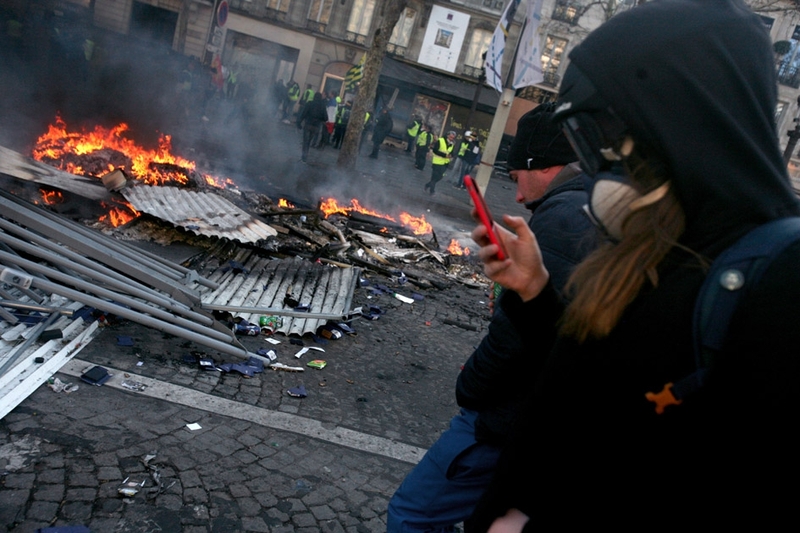 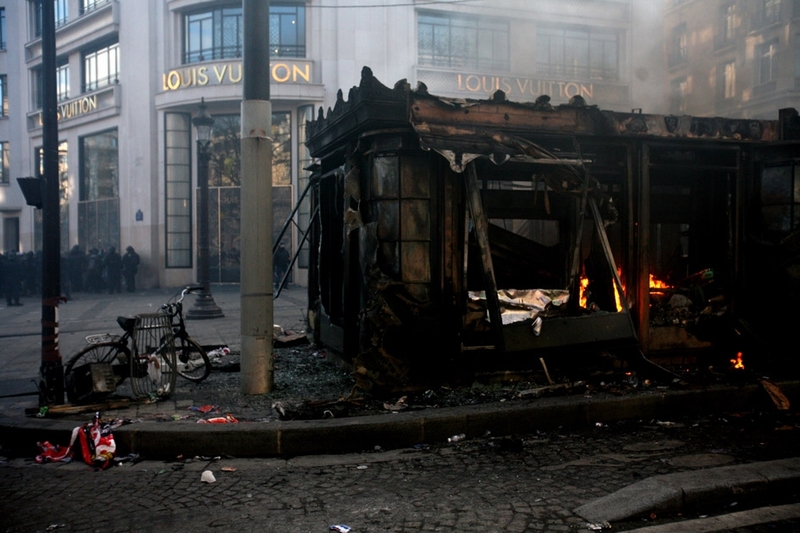 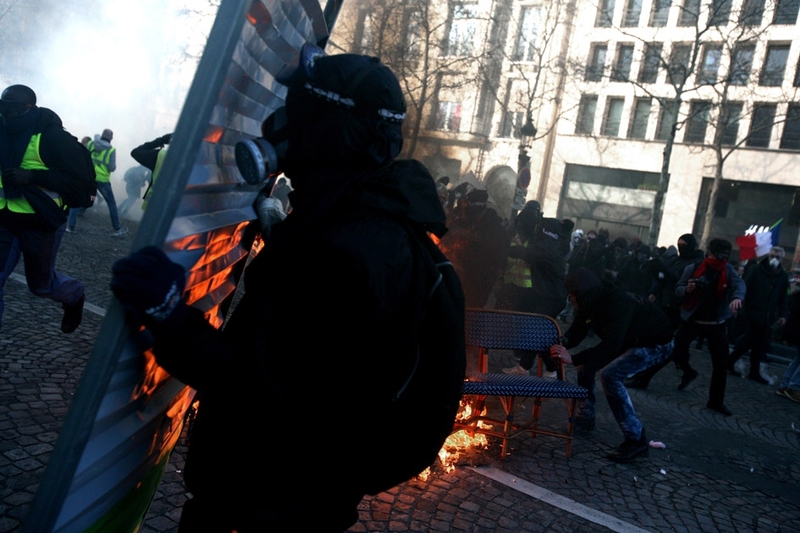 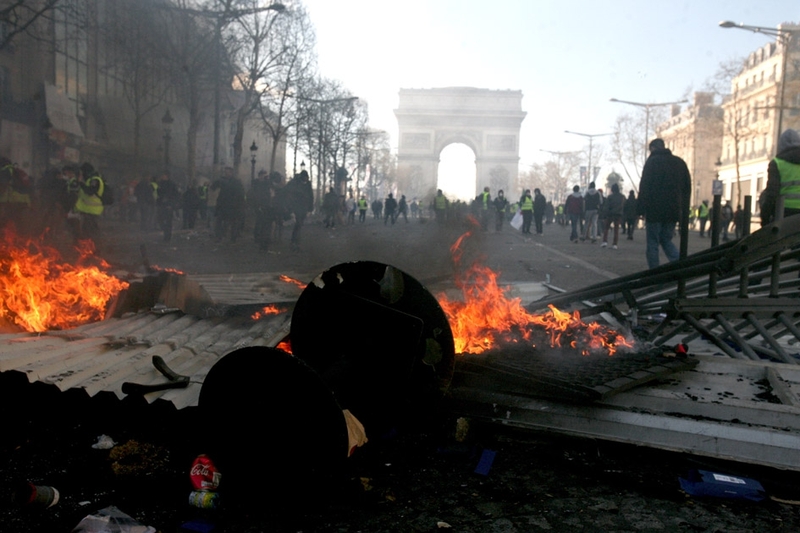 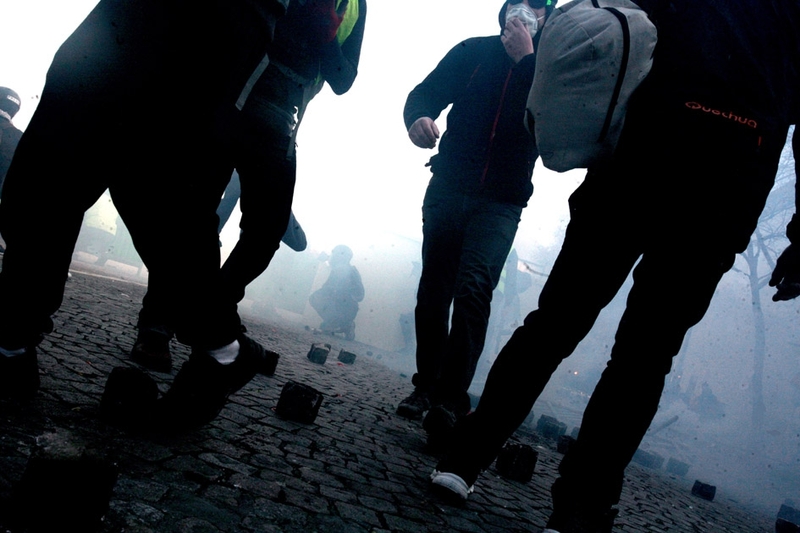 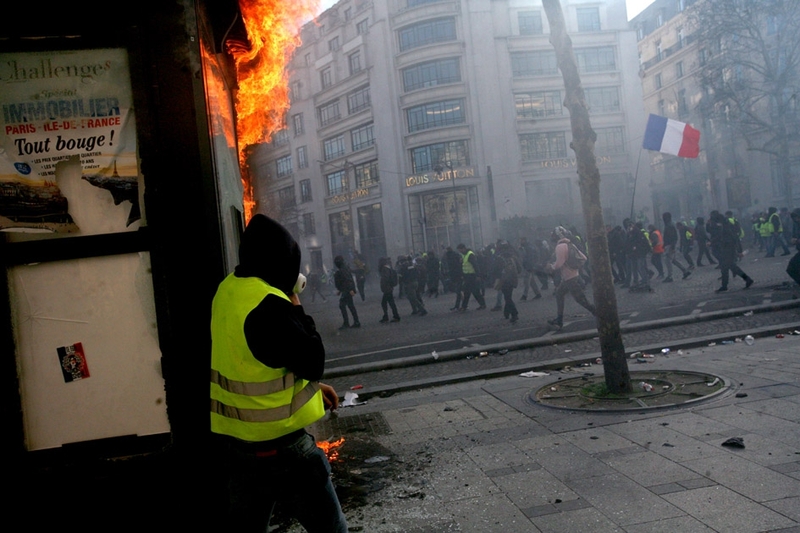 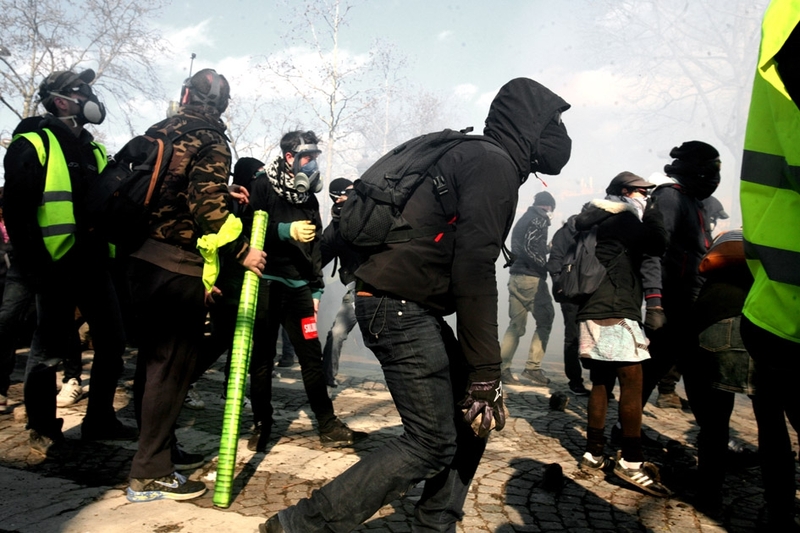 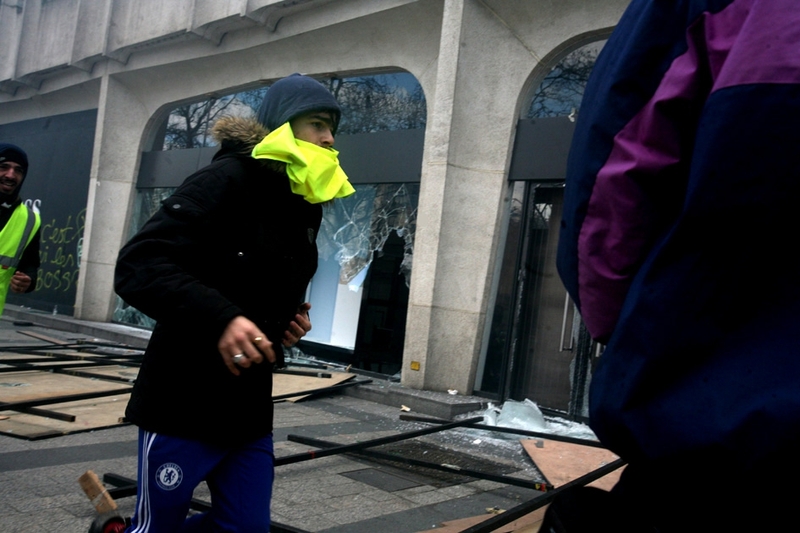 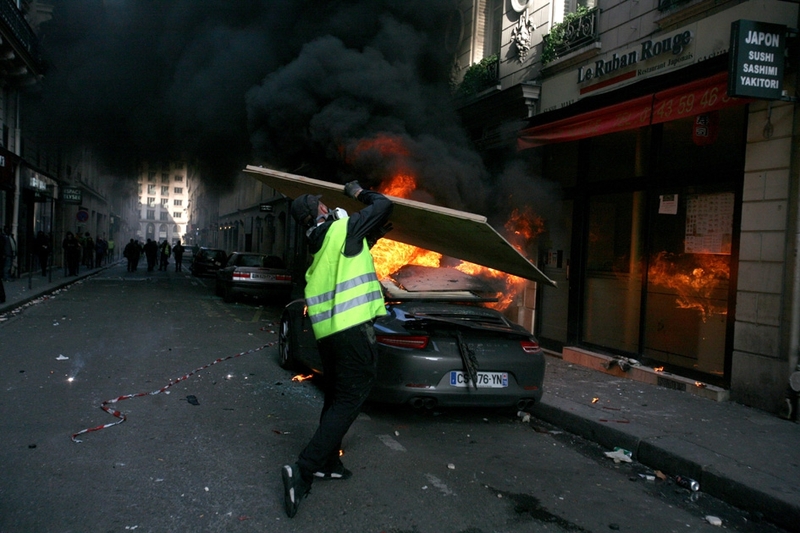 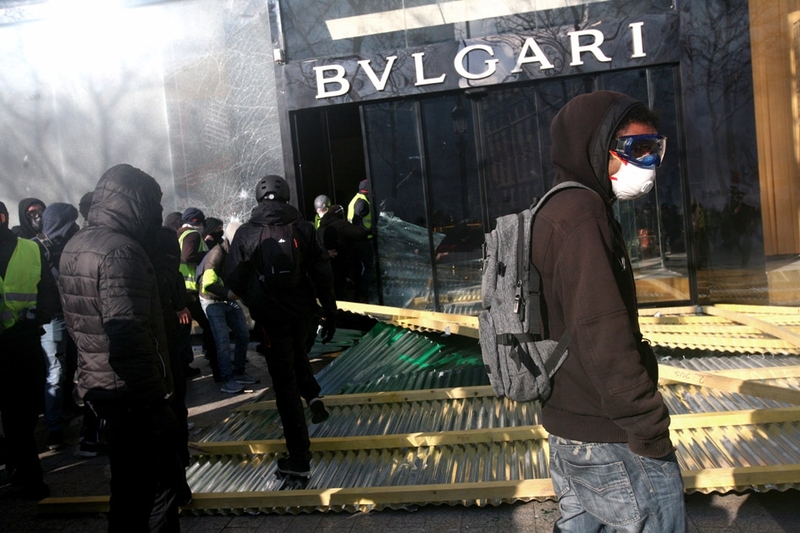 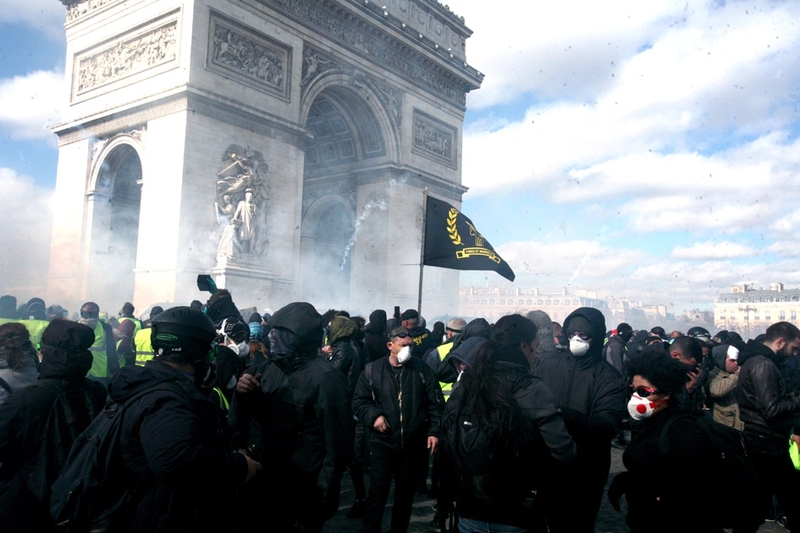 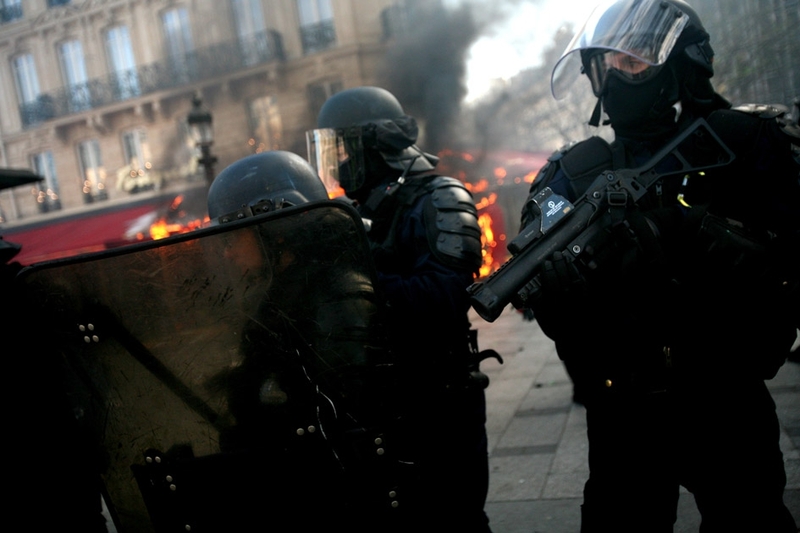 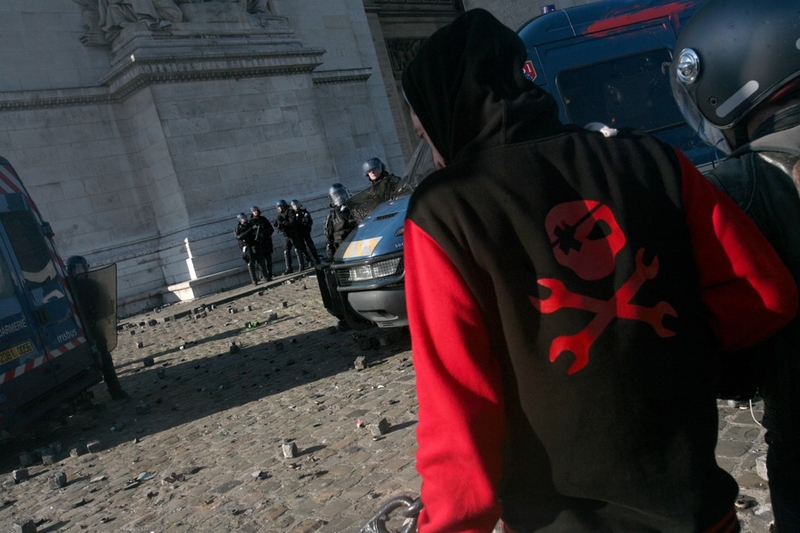 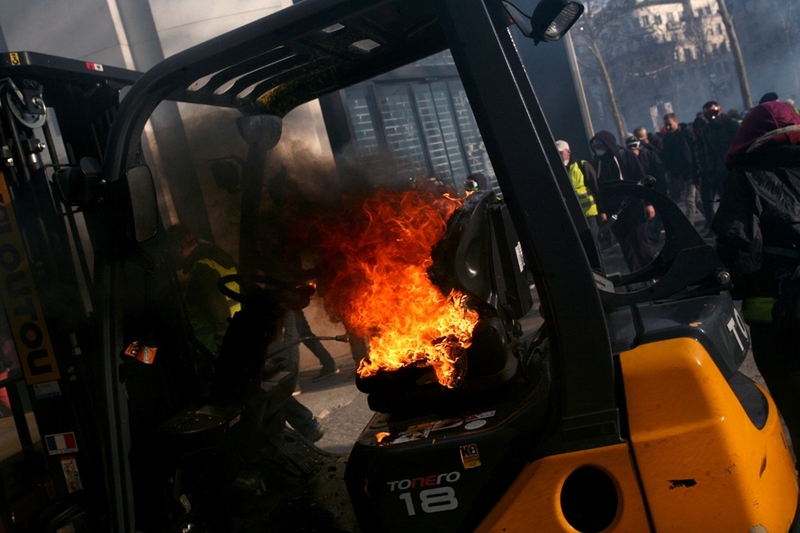 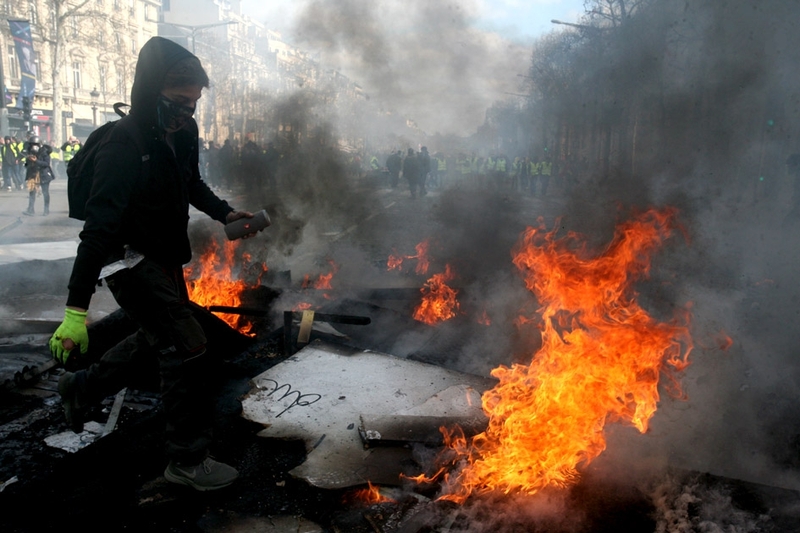 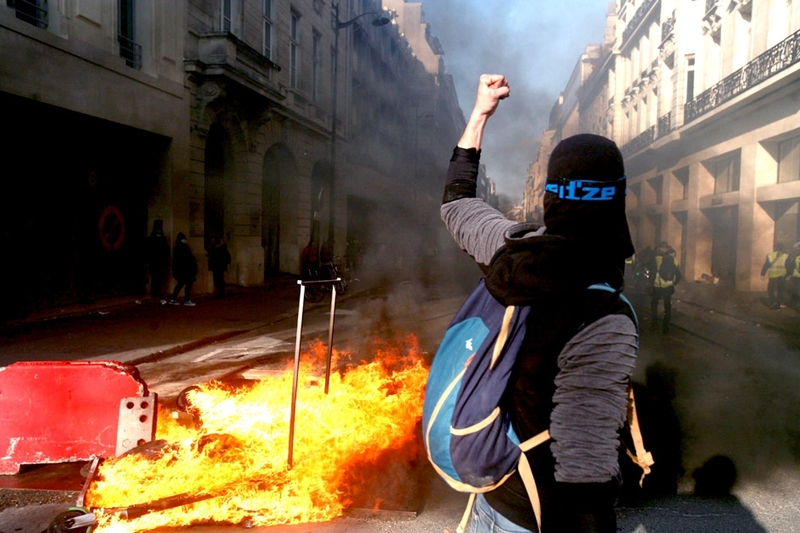 Yellow vests mixed with blacks blocks clashed with riot police near the Arc de Triomphe during the 18th consecutive weekend of protests in an insurrectional climate, some of them attacked, devastated and looted a good deal of luxury shops, newsstands, car banks on the way. 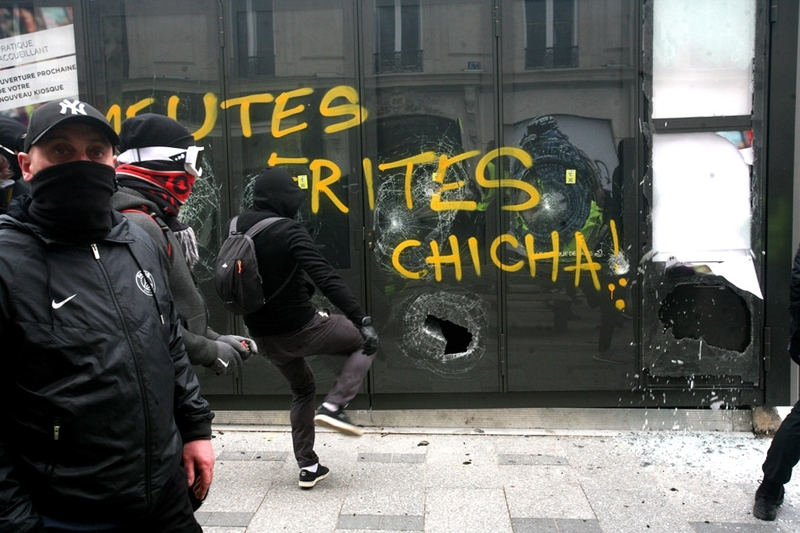 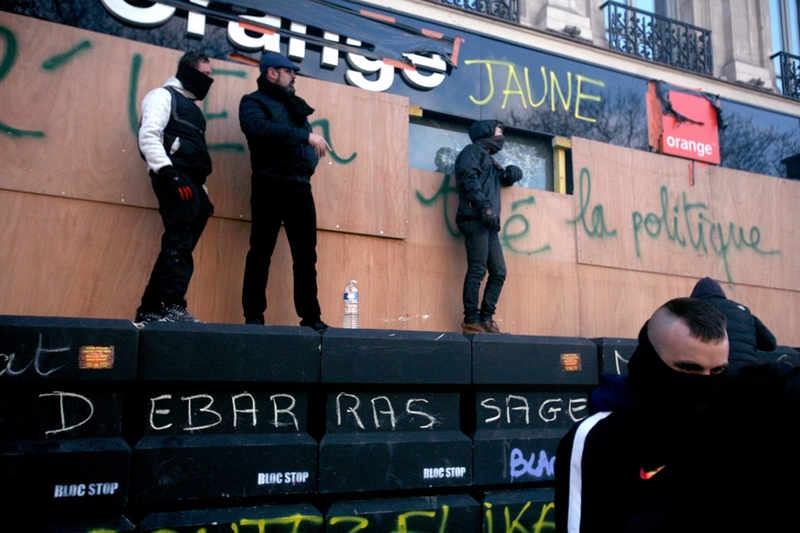 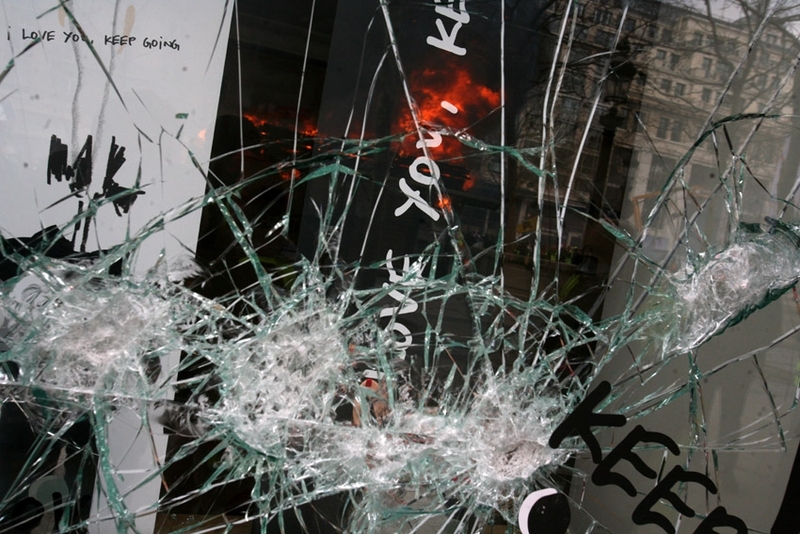 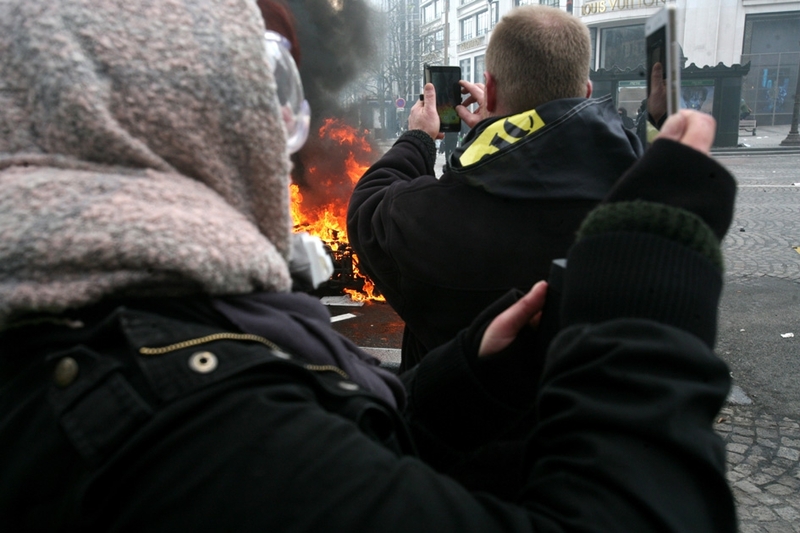 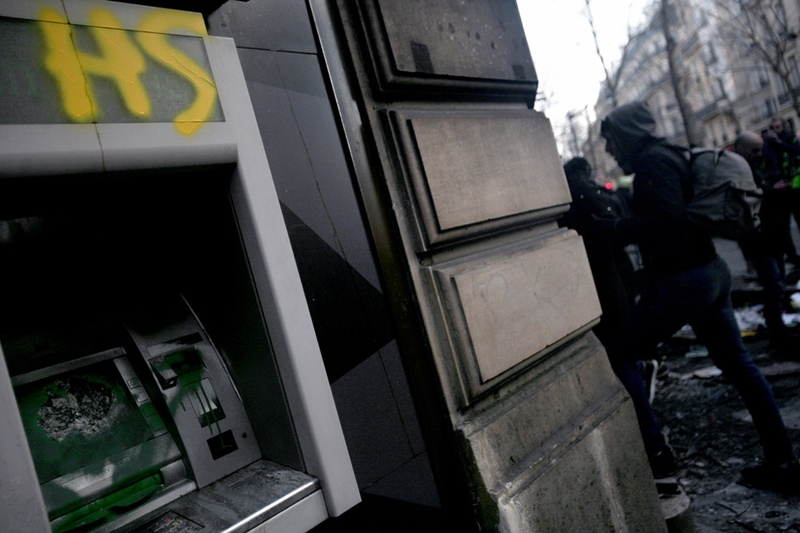 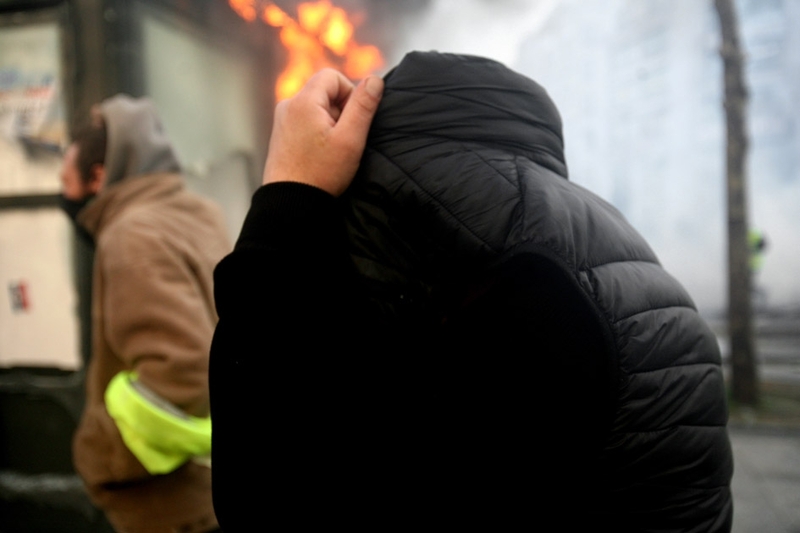 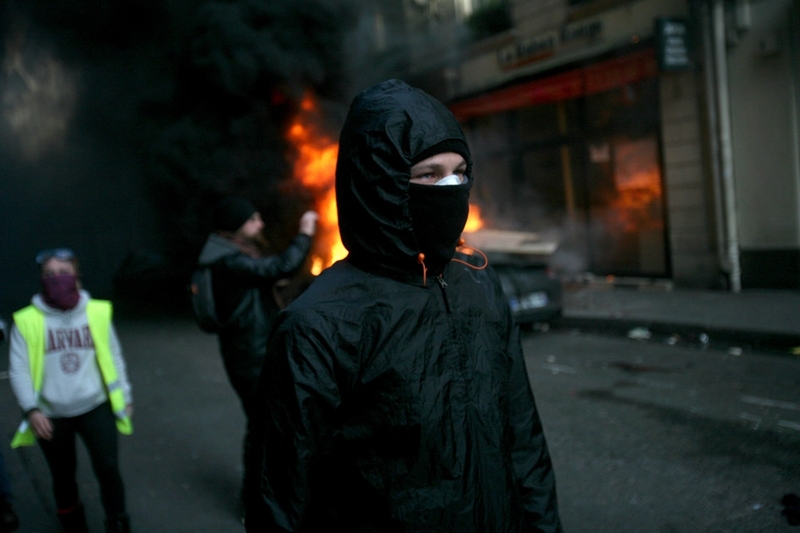 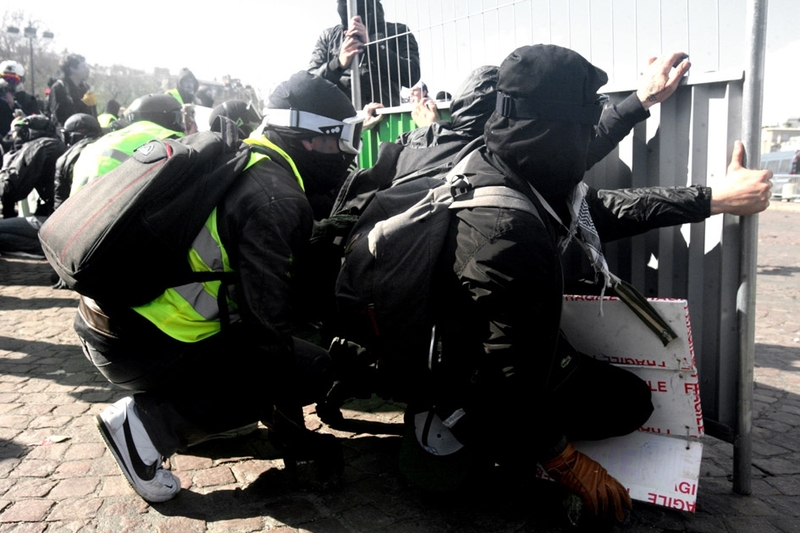 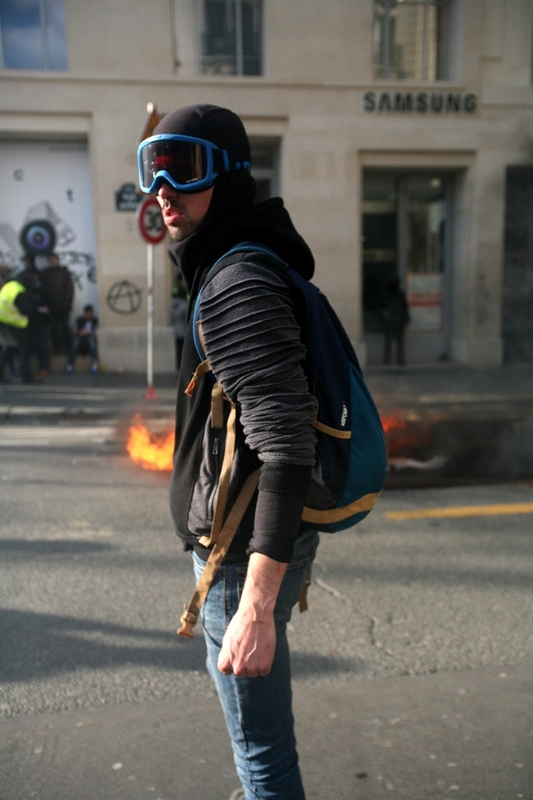 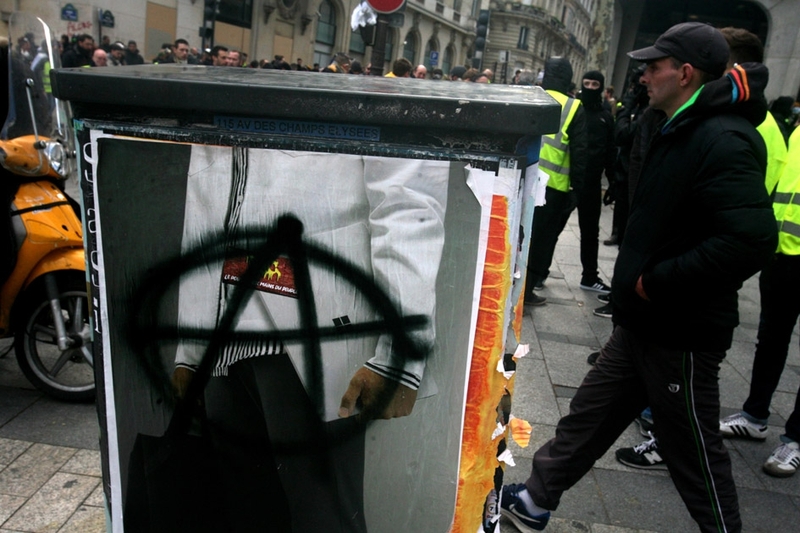 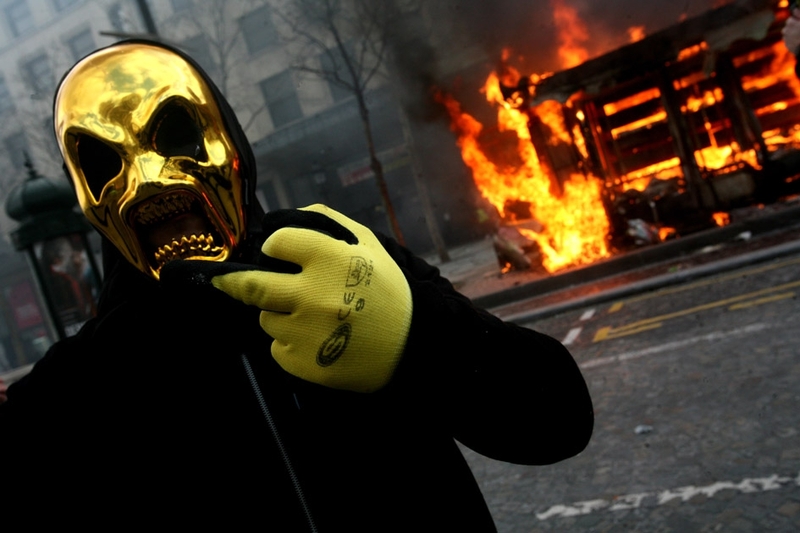 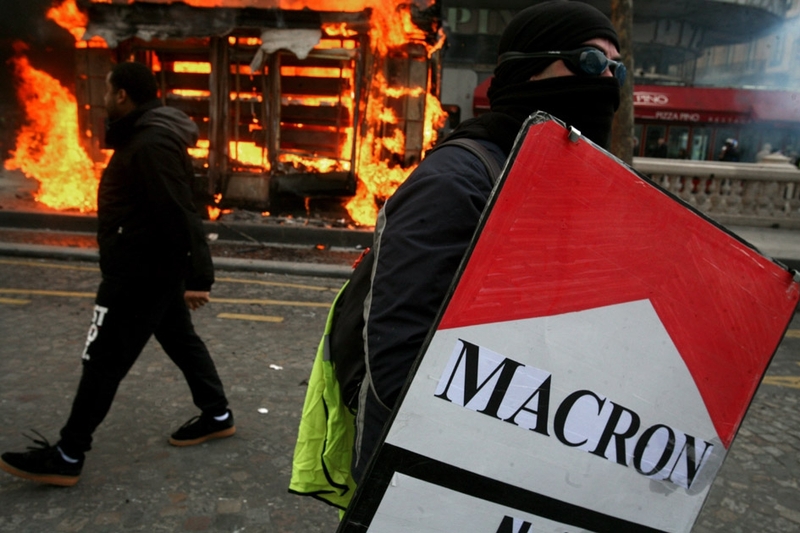 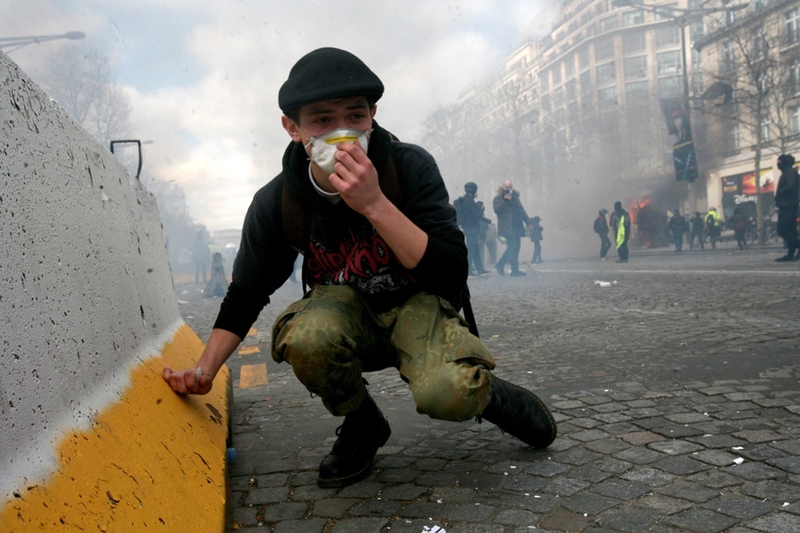 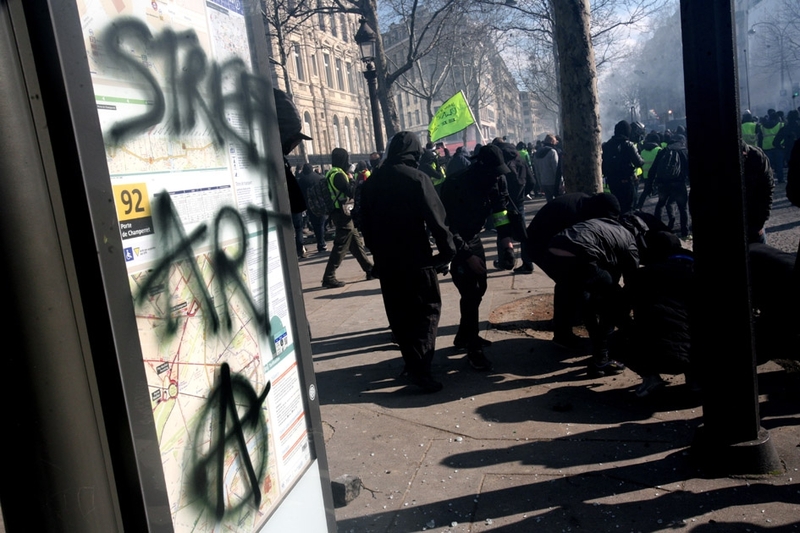 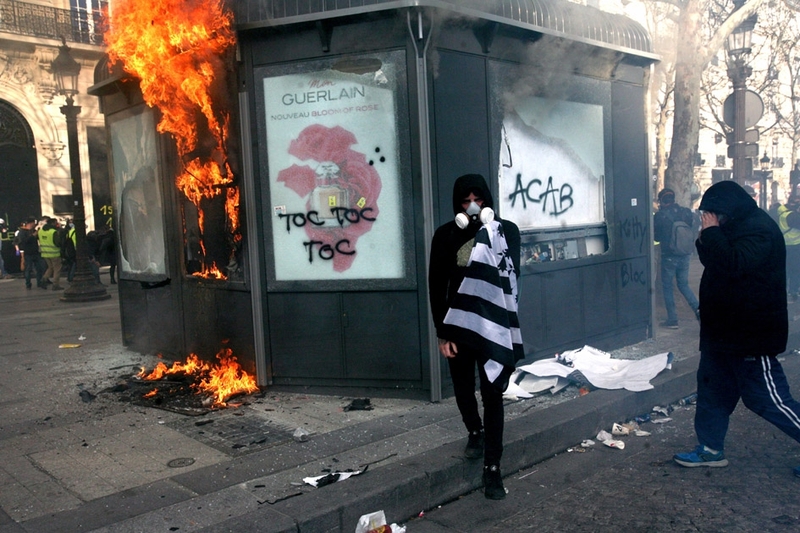 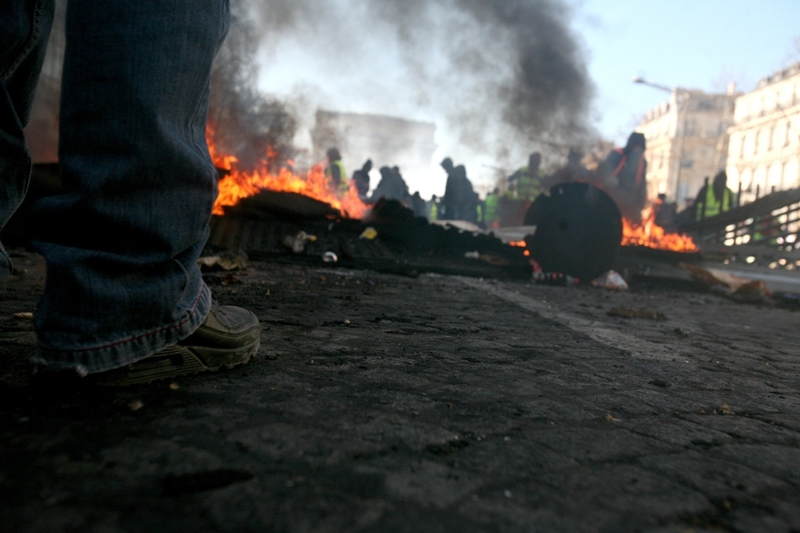 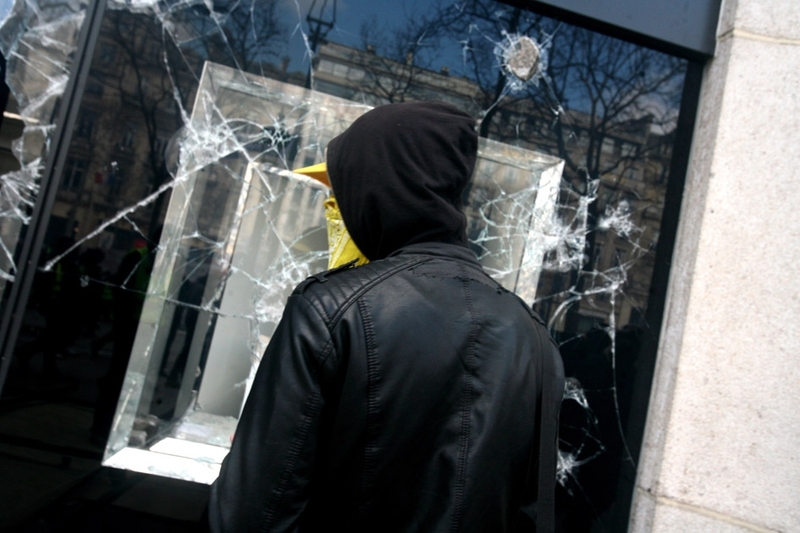 For this act 18 the yellow vests wanted to mark their disapproval of the immobilism of the government and President Emmanuel Macron.